Can You Still Grow Your Business Despite Brexit? When many entrepreneurs are still trying to figure out the threatening consequences of a hard Brexit, there is no doubt that the British public is beginning to measure the dangers of a post-Brexit situation where no EU worker is left to help. The NHS is already in a crisis, and we know for sure that the decrease of medical EU staff has significantly worsened the emergency. But 20% of restaurants in the UK are at risk of going bust, without mentioning the numerous startups that have received EU funding to survive. Nevertheless, if you run an already established business, it’s essential to plan strategies to grow your company during these dark times. Weaker business structures are likely to close down during the Brexit transition phase. Therefore business growth appears as the most viable solution for the survival of your company. As an entrepreneur, it’s crucial that you protect your assets from the potentially damaging impact of leaving the EU market. In times of uncertainty, investing in the right technology can be an absolute game-changer, as it’s the safest way to improve your productivity, increase your profit, and streamline your internal structure to gain a competitive edge. Your choice of tech investment begins with a thorough audit that needs to review the gear available in your business and compare it to your everyday needs and known issues. There might be elements that need to be replaced or updated, for instance. But these items will only need to be changed to maintain alignment with your business strategy. Finally, consider the cost of training and IT support for each tech solution, and espêcially how it compares to the gains you expect to make with the new technology. Admittedly, technology is not sufficient when you consider the potent $22.7 billion trade hole from a hard Brexit. Whether you work in the automotive, consumer goods, healthcare or tech sectors, every industry branch has an annual project decline of several billion, with a drop of up to -22% in export for car manufacturers. So, as an entrepreneur, you need to research new trading partnerships. You can just accept the Brexit threats, but instead, it’s time to sit down and ask yourself: How can I export my products overseas? There are trades in the pipeline with China and the US already, so now’s the best time to check the logistic side for those. Can you stay in the EU nevertheless? However, preparing for Brexit doesn’t mean that you have no option but to exit the EU. 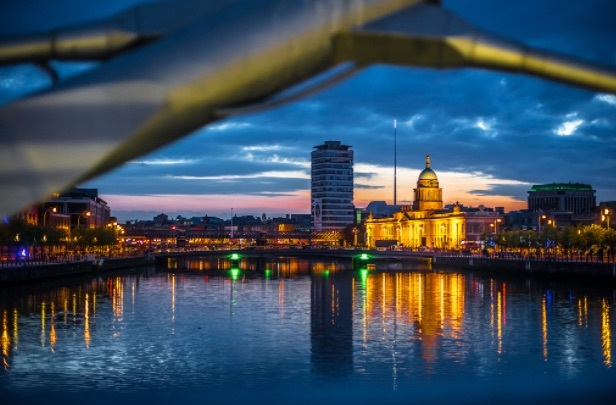 In fact, whether you’re using the UK as a point of entry into the EU, or whether you’re a British entrepreneur, you can follow the examples of major American big players such as Google that have moved to Ireland. The Republic of Ireland is not only a tax haven, with only 12,5% corporation tax, but it’s also a cost-effective way to remain in the EU while running a competitive business. If you’re still worried about growing your business despite Brexit, a combination of smart tech and effective trading deals is essential. But companies that want to maintain their EU partnerships can choose Dublin as their new business hub.